Spread the rug and park yourself and your family on the green for this annual event in Hyde Park that's full of fun. Watch the kids dancing to the entertainment and jumping for joy when Santa arrives. 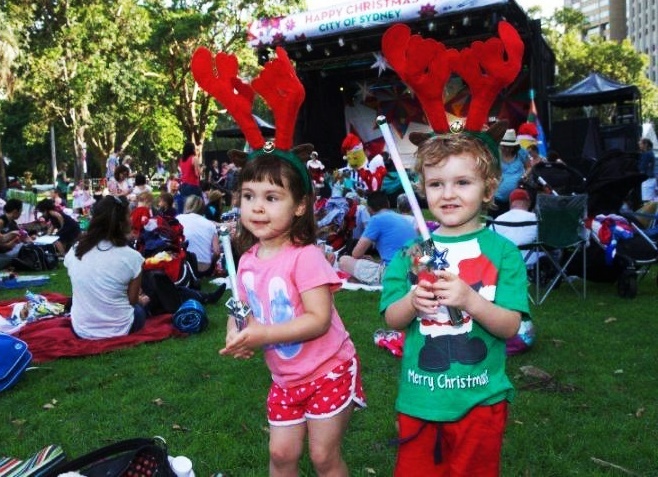 This year's Christmas on the Green is once again hosted by children's favourite, Jimmy Giggle, and is sure to be a lively and festive night. Concert performers include Play School's Justine Clarke, the Australian Girls Choir, SplashDance encouraging imagination, and Ben & Holly's Little Kingdom taking you on a magical adventure. Santa stockings are on sale for $5 each and come jam-packed with goodies, seeing the kids in further delight. Proceeds from these go to charity partner, Guide Dogs NSW/ACT, who will also have them gushing over cute puppy guide dogs in the play pen as well as the world's biggest guide dog, Gulliver. There's lots of craft activities as in past years and, if you're not bringing a picnic, then food vendors such as Monster Rolls and Booza Ice Cream will be serving up fare to keep the hunger satisfied. Coffee by The Little Hopper will give adults a boost. Santa drops in to say hello after lighting the Christmas tree in Martin Place and later on when the sun goes down the sky will be illuminated with a fireworks display. 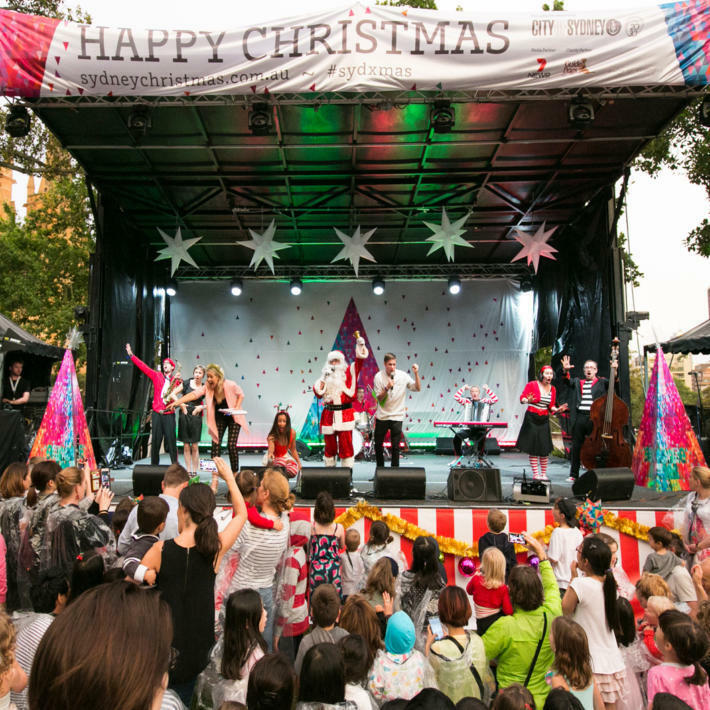 This Christmas wonderland celebration is free and takes place from 6.30pm-8.30pm on the British Lawn in Hyde Park North. The nearest train station is St James. So have a jolly old time, snap a few selfies and share the joy.